At Benefit Chiropractic & Wellness in Langley BC, we also take care of your feet. 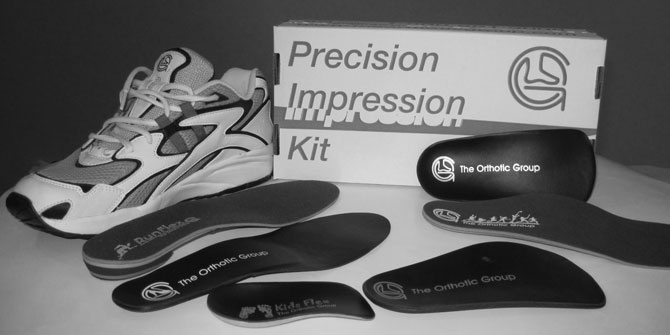 Custom-made foot orthotics are devices that are meant to optimize the biomechanics of your feet. If your feet don’t carry and transfer your weight properly, extra strain and stress will be placed on other areas of the body. This can result in pain being generated in your feet, knees, hips, back, and in some cases even your neck. Store bought shoe inserts can’t begin to compare to the benefits and relief provided by custom fit foot orthotics. At Benefit Chiropractic & Wellness in Langely BC, Dr. Andrew and Dr Zerkee perform the evaluation and casting of your feet, and the orthotics are then built by The Orthotic Group. 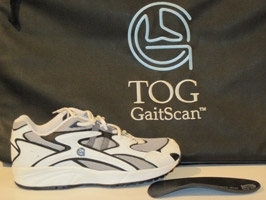 You can find information about the lab and view their footwear online at tog.com. As chiropractors, our doctors can work with you not only to relieve pain with custom foot orthotics, they can also provide treatment for overall body alignment and wellness. Custom foot orthotics can be especially helpful for people with chronic foot pain or who work in industries that require you to be on feet for extended amounts of time, such as the medical field, restaurants, store clerks, etc. Custom-made foot orthotics are covered by most extended health plans, but you should verify the coverage and the requirements of your plan prior to making an appointment.